Combined with the units in the whole of the Sealed Knot, we have taken part in hundreds of Major Musters all over the country. These are the big events, and they happen about three times a year. The full weight of the Royalist Army clashes with the Armie of Parliament with well over a thousand combatants on the field, dozens of cavalry and lots of canon. These are the events when regiments can expect their biggest turnouts, and these battles tend to be the hardest fought of any in the year. Regiments sometime combine with others in their brigades to strengthen their positions, and the Cittie of London Brigade have a strong fighting spirit between units, supporting each other when the fighting gets tough. 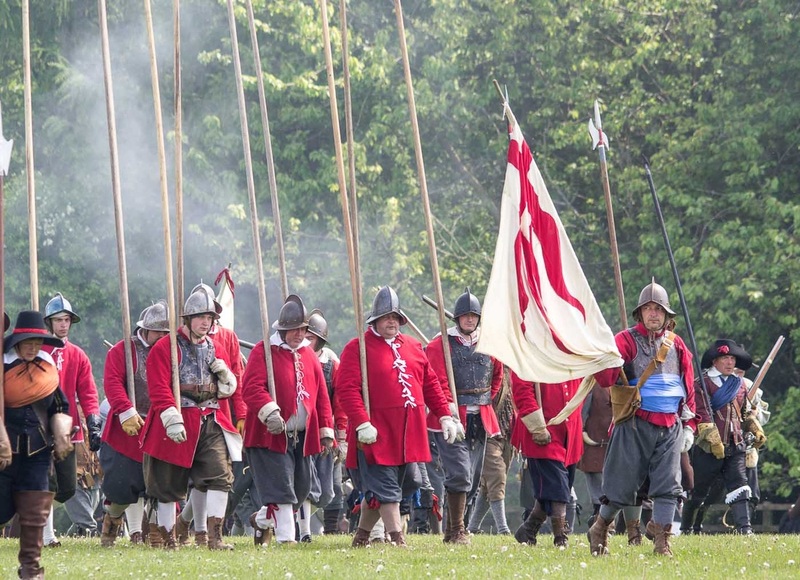 This is as close as you can get to fighting in a seventeenth century battle - thankfully the muskets and canon fire blanks and we use blunt pole weapons to make sure that casualties are kept to the minimum.